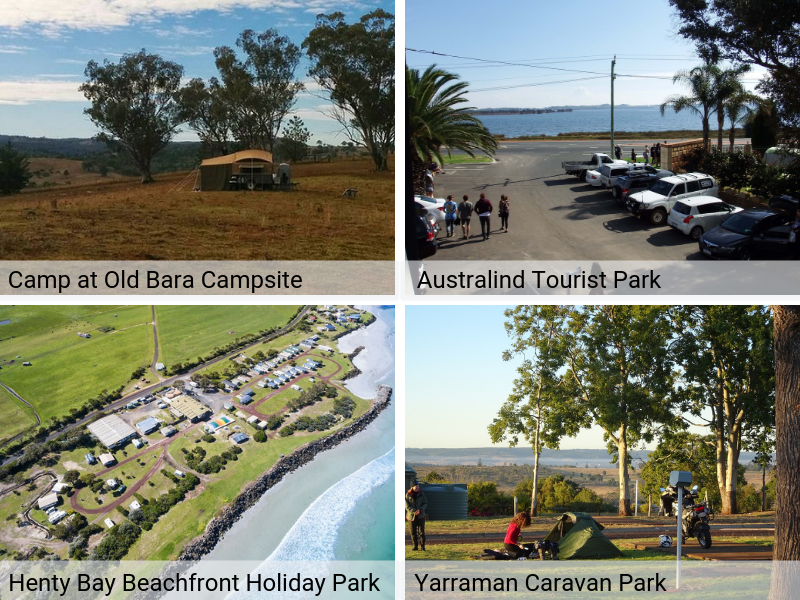 Australia has great camping spots and there are many pet-friendly caravan parks and accommodation options that you can enjoy with your dog. As with all holidays, preparation is key. Your dog will be exposed to more ticks in the bushland and long grassy areas. Make sure your buddy is up to date with tick treatments, as a tick bite will make your dog ill. You’ll need to be extra cautious of paralysis ticks, as their saliva is toxic and can cause blood poisoning. If your dog starts vomiting, has a change in their bark, or experiences lethargy or muscular paralysis this could be blood poisoning. If you suspect that your dog has blood poisoning immediately take them to the nearest vet. It’s also recommended to seek veterinary assistance if you find a tick on your dog. If your dog gets injured or becomes ill they may need urgent assistance. If your dog gets burnt, cool the area with water and apply a cool pack. If your dog is bleeding, apply pressure with your hands or a bandage. If your dog is having difficulties breathing, make sure there’s no foreign objects in their mouth. If in doubt, seek veterinary assistance. Be cautious of camp fire flames and smoke, fishing equipment such as hooks, cold weather particularly chilly nights, debris, stagnant water and toxic plants. Just like us, you should pack a first a first aid kit for your furry family member too. A substantial first aid kit should include: water bottle to prevent dehydration, a towel that can be used for a sling or stretcher, bandages, dressings for wounds, antiseptic cream (iodine based), gloves, dog sunscreen, dog shampoo, scissors and tweezers. To be prepared for the increased risks that your dog will be exposed to when travelling with dogs, pet parents are encouraged to have pet insurance. Not only will an unplanned vet visit be disruptive to your camping trip, it will also be expensive. 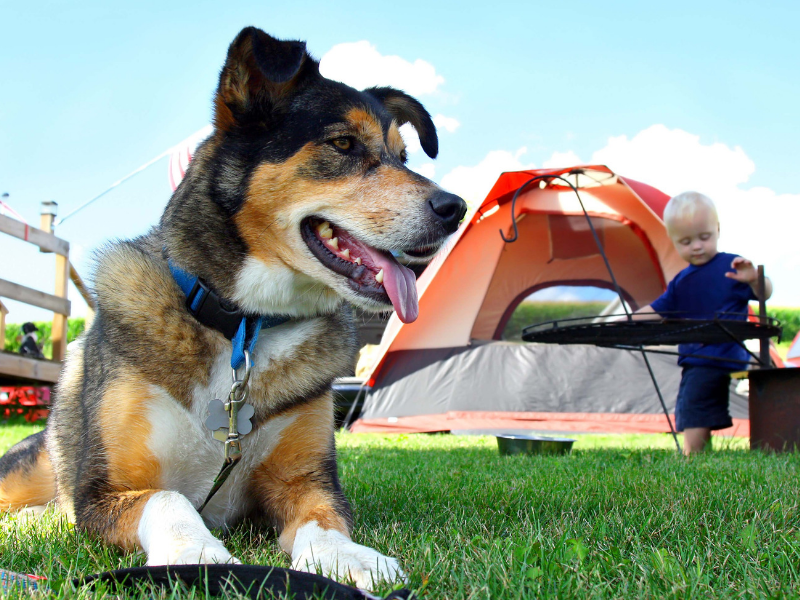 Your dog doesn’t have the security of fences to prevent him wandering away on your camping trip, so it’s important to consider how you’ll keep him restrained. 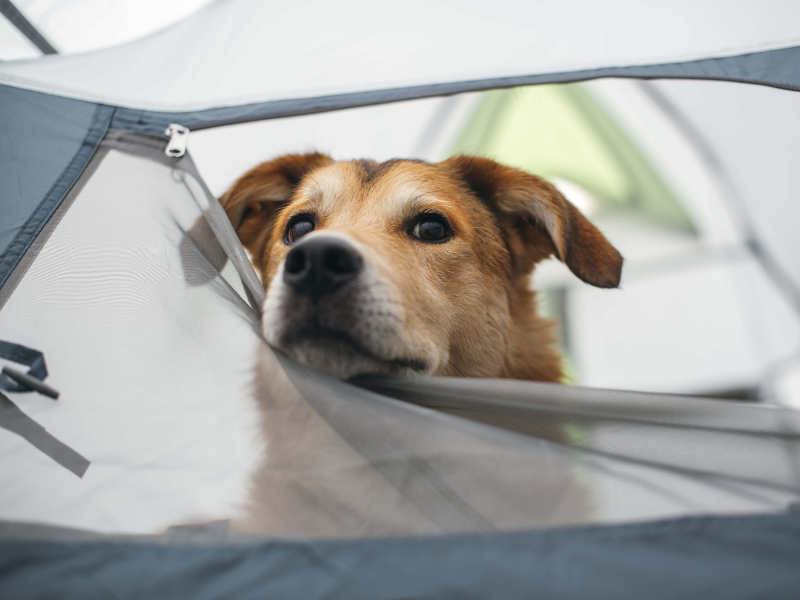 Keeping your dog on a leash and by your side is obviously the best way to know they’re safe and secure, but this is not always possible, especially when camping in the bush. For small breed dogs, a playpen is a great option; or a tethering cable is usually suitable for dogs under 38 kilos, for the moments you can’t have your buddy with you. Don’t forget how to keep your dog secure while driving to your camp site, as well. Before you leave for the trip, make sure your dog has a current ID tag and is microchipped, just in case they do wander off and become lost. It’s important that your mobile phone details are registered correctly, to make the identification process easier if your buddy does become lost. It is also recommended that you put the phone number of the local vet in your phone. Call 13 PETS (7387) for your local PETstock Vet. Just like at home, ensure your dog is stimulated while on holidays. You may be enjoying relaxing, lazy days away, but your buddy will still want to walk and play, and will demand your attention! Keep your pooch busy with long-lasting treats, like Watch and Grow’s naturally-shed deer antlers, and toys to avoid any inappropriate behaviours brought on by boredom. 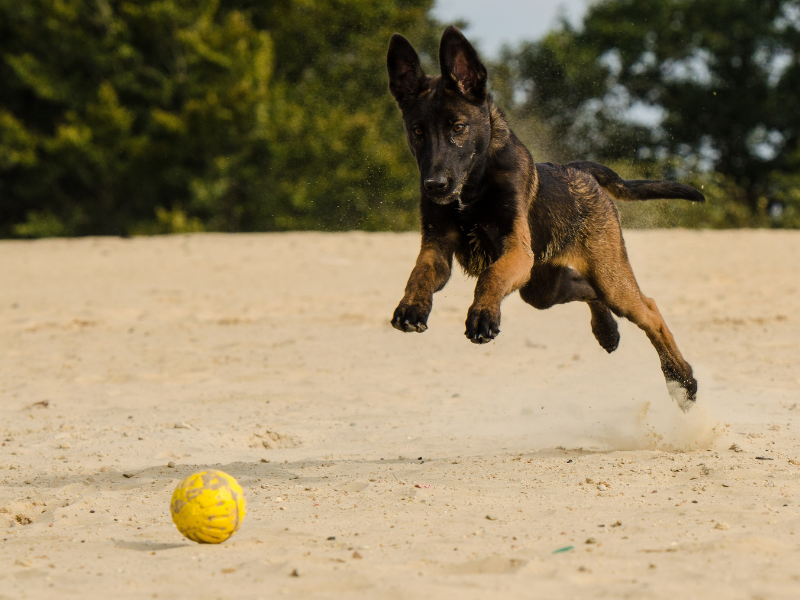 Keeping your pet engaged and busy will also reduce the chances of them wandering if they happen to get loose! Ok, time to jump onto holidayingwithdogs.com.au and start planning your next trip. Do you have a favourite experiences when on holidays with your dog? We would love to hear all about it. Comment below. You may also enjoy reading Holidaying with your dog that includes a handy packing checklist for your pets. My dog loves camping. We often take him with us. Hi Sandy. How fantastic. 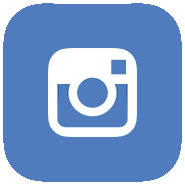 Any tips you can share for making it a great experience for you and your dog?